The 14-year-old 71.3-kilometer-long Sarli-Huri Road in Kurung Kumey district, a defence road, leading to the China border, has been completed by Project Arunank of the Border Roads Organisation (BRO). The project was taken up by 85 RCC/756 BRTF of Project Arunank in May 2006. Since then, relentless efforts have been made braving inhospitable terrain to achieve the goal of linking Pipa, Damin, Huri and other remote villages. This would facilitate the movement of defence forces for reasons of national security and boost socio-economic development of villagers, BRO sources told ANI. 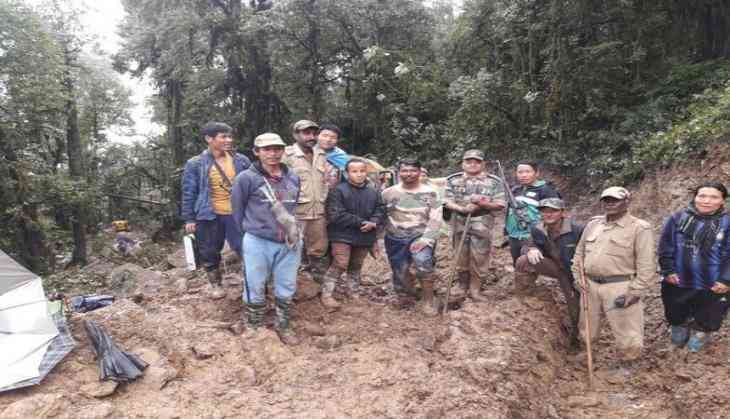 Indian Air Force helicopters airlifted heavy construction plant and machinery in slings after dismantling them to number of parts from Ziro to Damin. They were reassembled at the remote base before being pressed into service. A new road from Huri-Taliha in Upper Subansiri district and a new 155-km green field alignment was also completed recently. As directed by the Defence Ministry last year, Project Arunank marched forward from Ziro to Jeevan, ahead of Koloriang in April last. Three additional dozers were dismantled at Ziro, and inducted by air to 44-km base where they were reassembled. These efforts facilitated earth cutting of a 10-kilometer-long road a year, which is an unprecedented achievement, the source said, adding that the achievement has justified the BRO's motto of "Creates, Connects, and Cares", particularly in border and hilly states like Arunachal Pradesh.